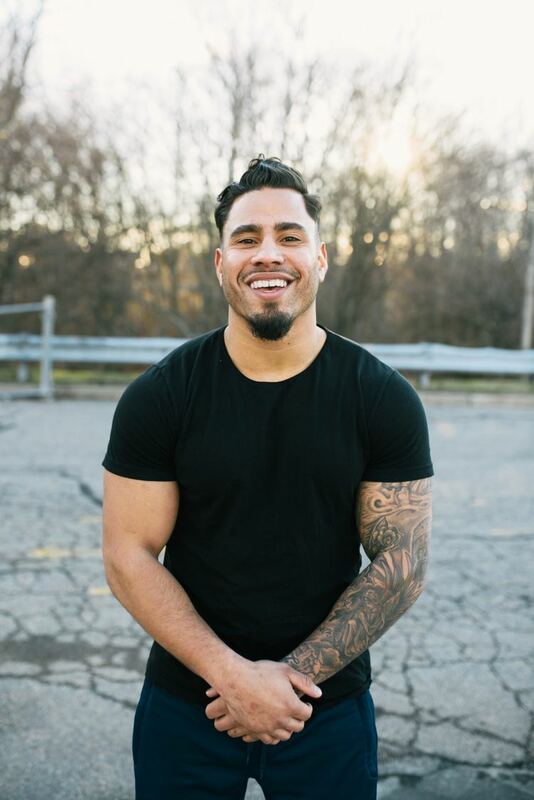 Meet Izaiah Baretto, 26-year-old Personal Training Manager and Functional Training Instructor. Izaiah grew up in the Ben Rose Garden Apartments in the South First Neighborhood, which was riddled with gang-violence and lack of guidance, leaving him in a difficult place. He got involved in sports at a young age at Dennison Memorial, in hopes to keep himself away from trouble but he found himself walking the line between both until he had his first child at 18. Knowing he needed to do better for the future of his family, Izaiah removed himself from a lifestyle that could have led to destruction and begin focusing on one thing he always loved, staying active. Working out at a local gym, he was encouraged by management and other members to get into training, as he was always gifted with strength and the willingness to help others while he was there. After a while, he took their advice and got his first certifications and began training in that gym. Fast forward to today and Izaiah is continuing to chase his passions in fitness and helping others. As a Person Training Manager with a local gym, while teaching classes at other gyms, he has also earned himself a handful of certifications, allowing him to teach group classes and function training, which focuses on exercises that allow individuals to perform activities of daily life more easily and without injury. Izaiah hopes to be able to open his own gym in the neighborhood he grew up in and being a role model to the youth there, showing them that they don’t have to become the product of their environment.